MILLIGAN COLLEGE, TN (Sept. 25, 2013) — “Never Underestimate God’s Child,” an autobiography by Milligan College professor Dr. Patrick Kariuki, is the “Book of the Month” in the September issue of Nubian News. Published by Nubian Enterprises, Nubian News is a national online newsletter for black business owners. Kariuki’s book was published earlier this year by West Bow Press, a division of Thomas Nelson. It is the story of Kariuki’s faith and how God has worked through him—from his childhood in a mud-thatched hut in the foothills of Kenya to his current roles as professor of education at Milligan and minister at East Johnson City (Tennessee) Church of God. Kariuki begins his story where he was born and spent his early childhood, in Kathangari village in Embu County, Republic of Kenya. He takes his readers on a journey over thousands of miles and many obstacles, recounting how he overcame those challenges to eventually complete his education and pursue his dreams of teaching and preaching. 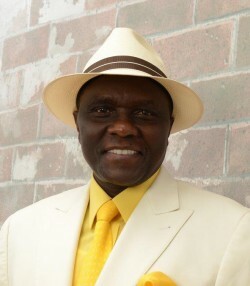 Kariuki came to the United States in 1985 to attend college. He earned a Bachelor of Arts in psychology from Lee University (Cleveland, Tenn.). Later, he attended East Tennessee State University (Johnson City, Tenn.), where he earned a Master of Science degree in clinical psychology and Doctor of Education degree. Throughout his studies and career, Kariuki has interviewed several giants of psychology, such as B.F. Skinner, Albert Bandura, Albert Ellis and others. In 1995, he joined the faculty at Milligan, where he teaches undergraduate and graduate courses in education. His areas of expertise include research methodology, child development and life span human development. This year, he was nominated to serve as the 2014 president of the Mid-South Educational Research Association. In addition to his educational responsibilities, Kariuki is an international speaker at Christian revivals. After serving as an evangelist throughout east Africa as a young adult, Kariuki continues his ministry in the United States, where he has served as minister of East Johnson City Church of God for 20 years. One of his proudest achievements was going home to Kenya last summer for the release of “Never Underestimate God’s Child” in Nairobi, where he was able to present his mother with a copy of the book and thank her for her influence on his life and his faith. “In this age and time when we are investing a lot of resources in the education of our children, we should not forget that the greatest investment we can make, one that will make a permanent mark in our children’s lives, is the faith we instill in them in the Lord Jesus Christ,” he writes in the book’s introduction. “Never Underestimate God’s Child” is available in the Milligan College Bookstore, local bookstores or online. Posted by tommy on September 25, 2013.